There are several points to be made in response to these comments, but before I list them I want to make something clear, namely that I do not pretend to speak for all who would call themselves Reformed Baptists. I have entitled this post, "Why I Call Myself a Reformed Baptist," and I hope that I may give a good, brief accounting for this in this post. But it must be said that I do not see myself as a leader of the movement, let alone one of its primary spokesmen. In fact, the movement is diverse enough not to claim any one person as the most appropriate spokesman. For example, back in 2007-2008 I conducted a poll on this blog that revealed some significant diversity among those who would call themselves Reformed Baptists. With these caveats in mind, I will now address the above comments made by Clark. First, I do not agree at all with his assertion that "calling a Baptist 'Reformed' is like calling Presbyterians 'Baptist' because they believe in believer’s baptism." I am, frankly, surprised that Clark would make use of such an analogy when he must know that what makes the Baptist position distinctive is not that we advocate the baptism of believers (which we certainly do) but rather that we advocate the baptism of believers only. When a Presbyterian begins to assert that position, then I will accept his calling himself a "Presbyterian Baptist," even if he doesn't hold to other historically distinctive Baptist positions, such as our view of church government, which asserts the autonomy of the local church in matters of governance. But, then, the term Presbyterian so used would clearly indicate this difference, wouldn't it? And this is really no different than the way the term Baptist qualifies my use of the term Reformed. Second, Clark's comments seem to assume the idea that there is a monolithic historical understanding of the meaning of the English word reformed. But this is simply not true. There are broader and more narrow senses in which the word may be used, and not all of these require the specific understanding to which he apparently wishes to restrict usage of the term. In addition, I see no reason why a modifier cannot be attached to the word that in effect alters and qualifies its meaning so as to rule out the kind of misunderstanding that Clark is apparently concerned about. One such modifier – as I have already noted – is the term baptist, which immediately communicates a distinctive use of the word reformed. Perhaps it would be helpful to discuss at least three senses in which I believe the term reformed has been used, all of which have application to my own usage of the term when I call myself a Reformed Baptist. I will list three ways in which I believe I have seen the term used, beginning with the most broad sense and moving to the most narrow sense. First, the term reformed can be used in a broad sense to describe that which is changed for the better, and in our discussion it refers to the changes that were made by Protestants in their efforts to reform the Roman Catholic Church in accordance with Scripture. In this sense it could refer to any person or group that seeks to be consistent in reforming the church in this way. I believe John Quincy Adams had in mind this usage of the term in his famous little book Baptists: The Only Thorough Religious Reformers, and this is one sense in which I intend the word to be taken when I describe myself as a Reformed Baptist. It communicates my commitment to the principle indicated by the slogan semper reformanda ("always reforming"), and it declares my conviction that it is the Particular Baptists who have been more faithful reformers than their Presbyterian brothers, especially with regard to the issues of church government and baptism, as indicated above. Indeed, in this sense I think we have more right to use the term than they do. Second, the term reformed can refer to the broader Protestant tradition characterized by principles held by most of the early Reformers, and not just those in Geneva, for example. These principles may be summed up by the five Reformation precepts often referred to as "the solas." These include the principle of sola scriptura (that Scripture alone is our ultimate authority), the principle of solus Christus (that we are saved by Christ alone), sola gratia (that we are saved by God's grace alone), sola fide (that we are saved through faith alone), and soli Deo gloria (that all is to the glory of God alone). Thus when I call myself a Reformed Baptist I mean to indicate that I wholeheartedly embrace these distinctive principles of the Reformation. Third, I agree that there is a more narrow use of the term as Clark affirms, namely to refer to those who follow the traditions that have come particularly from Calvin's reforming work in Geneva. This would include not only the Swiss Reformed, but also the Scottish and Dutch Reformed and the numerous Presbyterian groups that have followed from each of these traditions. I also agree with Clark that we do not want to confuse Baptists with these Reformed groups. However, this is precisely why I call myself a Reformed Baptist. The term Baptist clearly qualifies my use of the term Reformed. 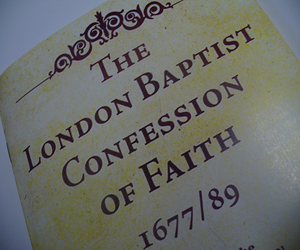 And when I use the terms together this way, I do not think I am doing anything essentially different than did those English Baptists who based the Baptist Confession of 1689 largely upon the Westminster Confession of Faith. They clearly wanted to identify themselves as in the mainstream of the Reformed tradition in one sense (particularly with regard to Calvinist soteriology and Covenant Theology), while at the same time distinguishing themselves in ways that demonstrated how they had reformed more thoroughly than had their Presbyterian brethren. This – together with the reasons already listed – is precisely why I call myself a Reformed Baptist. I hope this post has helped to briefly clarify and defend my usage of the appellation Reformed Baptist to describe myself, and, despite Clark's objections, I believe I have every right to use this description. Yes, yes, yes. Excellent analysis. Thank you. I am a new follower and enjoy and agree with what I just read. I ran across this and appreciate the time you put forth in your explanation, it certainly help me in understanding some things. I would also like to know about your last name because I am also attached to that name. My grandmother was a Throop and she came to Michigan from Kansas. If you wouldn't mind you can contact me at jhogendyk@gmail.com I look forward to hearing from you. My grandmother's name was Iva Throop Martin. Well, the basic genealogy of the Throops in America is well known. There have been a number of books written about the Throops over the years. The whole genealogy was well documented in The Throop Tree by Walter Fay Throop and Beryl Estelle Burch Throop, which was published in 1971. It is out of print, but once in a while a copy comes up for sale. There were a few mistakes in the genealogy in that book that were later corrected in a revision by Ralph Troop (who dropped the silent 'h' from the last name). I have the first edition, which lists a couple of Ivas. 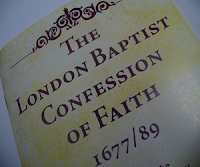 Having been born in 1965, I am listed in the book (p. 570). I'll email you so that we can correspond further if you wish. By the way, I am Keith Eugene 11, Alfred Eugene 10, James Monroe 9, Joseph 8, Godfrey 7, Oliver M. 6, John 5, John S. 4, William 3, William 2, William 1. William 1 came to America in the mid 1600's. I should also add that there is some debate about who William Throop was. He told his family that he was the son of Colonel Adrian Scrope (the Regicide) and claimed to have changed his name in order to start over in the new world. If this is true, then we can trace our family roots at least as far back as the Norman conquest of England in the 11th century. However, Malcolm Throup, in his book Across Throup's Bridge: A Family History Through Six Centuries (1986) challenges this long held Throop family tradition (at least here in America), and I believe he traces our line back another 250 years or so before William came to America. Either way, we are one of those rare American families who can trace their European history back pretty far. I hope this information has been helpful. I have sent you an email at the address you gave me above. If you respond, then perhaps we can find out more about your grandmother. God bless you!